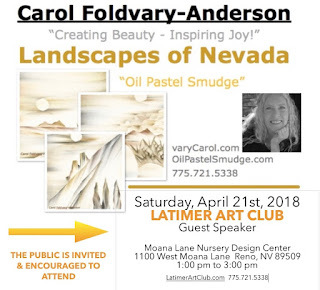 Carol Foldvary-Anderson will be the guest speaker at the Latimer Art Club meeting scheduled on Saturday April 21, 2018. The members of Latimer know her as their very capable vice president, but for who aren't aware, she is a multi talented award winning artist, designer, inventor and arts educator. Carol will be sharing “What a Smudge Can Do!”. This innovative approach is the focus of her latest work. 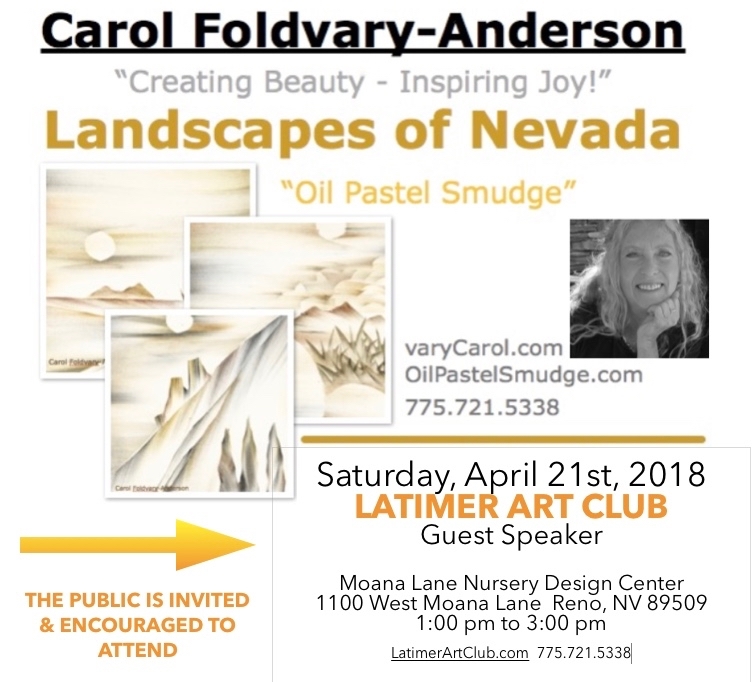 The technique has earned her grant funding through the Nevada State Arts Council and the National Endowment for the Arts, and the opportunity to compete for a $10,000 award sponsored by Michaels Craft Stores at the recent yearly conference of (AFCI) the Global Association of Creative Industries. 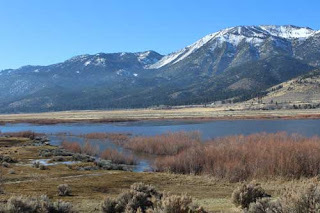 In May 28 through July 13, her works will be exhibited at the McKinley Arts and Cultural Center in Reno, an Artist Reception is scheduled on June 7, 5pm to 7pm. Carol has illustrated several coloring books for Dover Publishing as well as several on-line coloring books for Prime Publishing, through FaveCrafts. Her gigantic paper sculptures were displayed and created in many of the area’s schools after 9-11, and the photographs taken of those works led to a professional artist grant from the Sierra Arts Foundation. During the George W. Bush administration, Carol designed an ornament for the White House. She also designed the Millennium Coin for the Carson City Mint and was honored as Artist of the year for Carson City. Carol is not done sharing her art and creativity and what she has planned next is sure to surprise you!